West USA Realty-06 just listed 4360 N Sunset Cliff Drive at $299,900. It sold less than 2 years ago for 297K. This one-story, Monterey-built home has almost 2,100 square feet and a split bedroom floorplan. The aggressive price indicates it will likely sell quickly. 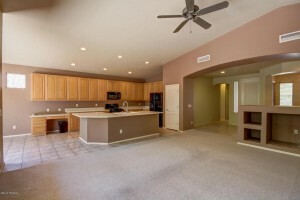 It only took 4446 N Saddle View 10 days to go under contract. (Listed by Long Realty). The List Price is 369K. This 2,238 square foot one-story, Pepper-Viner built home originally sold for 330K almost 13 years ago and after that sale a pool was added. 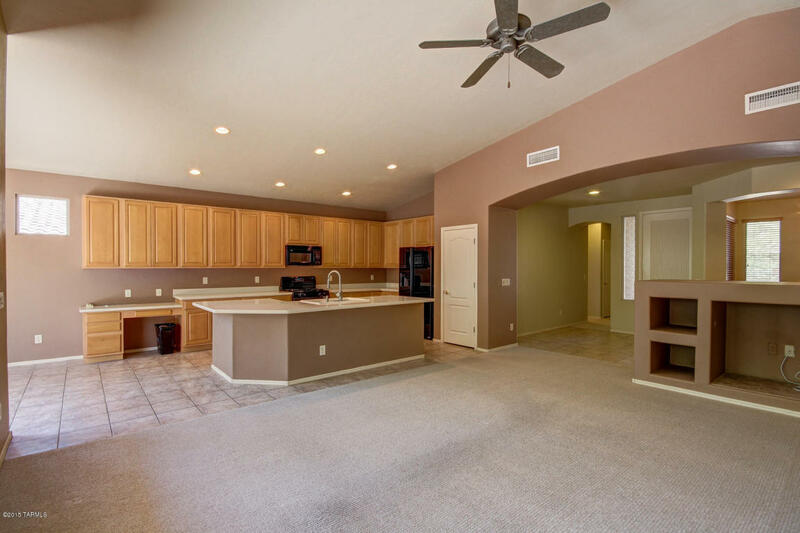 It was originally a model and has some nice upgrades to include granite counter tops. This is the 10th Sabino Mountain sale this year; last year 20 were sold, so there is no doubt about it, it has been a slow year for Sabino Mountain. Certainly a major reason for this is there have been few for sale. In fact in the past few months there has only been one custom home for sale. Several of the homes have been on the market a long time but the likely cause that they have not sold is that the original list price was too high and those homes have reduced to the point that they should sell soon. 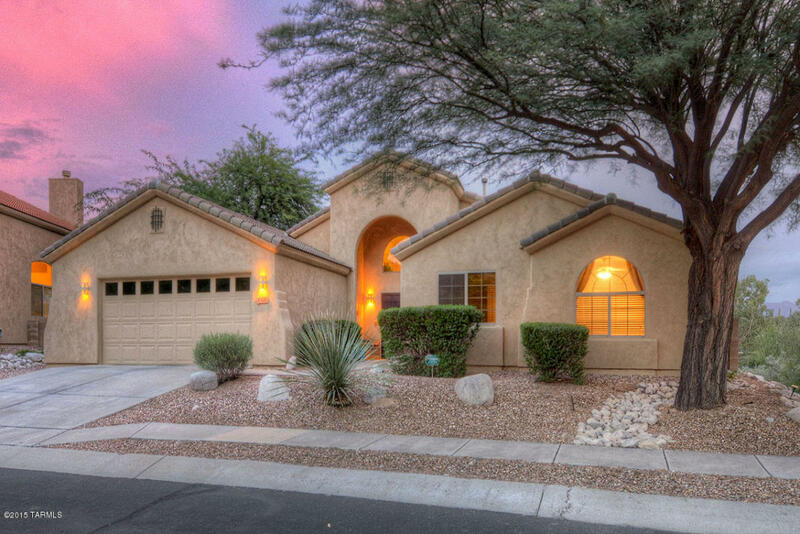 Homes located in the Catalina Foothills see the numbers sold increase starting in January. The last few months are usually the slowest months of the year. Please do not hesitate to contact me if you are thinking of selling or would like to explore other homes for sale in Pima County. My phone no. is 520-615-2598 or email me at Donna@DonnaAnderson.com. I am passionate about Sabino Mountain! 4446 N Saddle View was listed today by Long Realty for 369K. It originally sold for $330,000 (pool was added later) almost 13 years ago. This is an excellent price and is unlikely to last long. This home has the popular 2,236, Pepper-Viner built one-story floorplan and has a two car garage and a beautiful swimming pool. It has a long list of newer features including 2 newer HVAC systems and appliances. It is picture perfect! All but one of the homes are non-custom homes. Both last two years-2013 (sold 19)) and 2014-(sold 20) revealed many homes sold, but it is pretty clear that reaching that number this year will not be possible.I thought I would take this opportunity to review and explore the differences between sales this year versus last year. 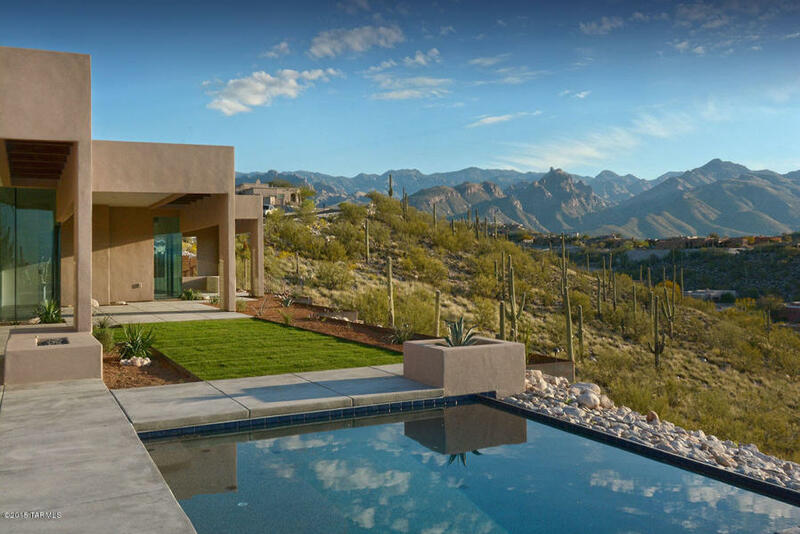 The good news is we had the highest sale this year that we have had in the past 8 years–the new contemporary on 4076 N Sabino Mountain Drive sold quickly–in a little over a month’s time by my office (Russ Lyon Sotheby’s International Realty) for $1,450,000. Many of you visited my Open House and saw what a gorgeous home this is. The other big difference is that only three out of the nine 2015 home sales were non-custom homes priced 439K and below; the other 6 sales were of all custom houses priced at 502.5K, 640K, 695K, 750K, 845K and $1,450,000. 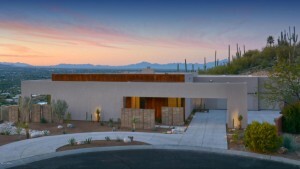 In 2014 half the sales were of homes priced 305K -440K and there were 3 homes sales over a million at $1,040,000, $1,075,000 and a foreclosure on Crested Saguaro (in The Retreat) for $1,225,000. A positive sign is there has been some appreciation in the non-custom homes since last year where there were nine sales as follows–305K, 315K, 320K, 324K, 340K, 340K, 350K, 368K, and 375.5K. I sold a one-story, Pepper-Viner built home last year with 2,236 square feet at 340K and in 2015 I sold a home with the same floorplan on the same street at 365K. Both homes were very comparable, so this shows over a 7% increase in about a seven month time period. Additionally 2 two-story Monterey-built homes on Sunset Cliff with the same floorplan (that have almost 3K square feet with the first floor master bedroom) sold for 368K and 372K last year, but this year one with the same floorplan sold for 439K revealing 18% appreciation. It should be noted that this year also saw one foreclosure sale on 4035 N Boulder Canyon – it is an over 3,300 square foot Outpost Builders built, semi-custom home sited on .72 of an acre that sold for $531,107; it originally sold for $554,103 eleven years ago. So like last year-we saw one foreclosure. The main reason for so few homes selling this year versus last year is that there are fewer homes listed for sale in Sabino Mountain this year. The choices are limited; right now there is only one custom home listed for sale at 849K (listed by Long Realty). It would be a good time to list a custom home in Sabino Mountain since there is so little competition. There is sure to be a lot more competition when winter comes and many put their homes on the market hoping for a snowbird sale. Note the house photos at the top are of the highest 2015 Sabino Mountain Sale ($1,450,000) at 4076 N Sabino Mountain Drive. 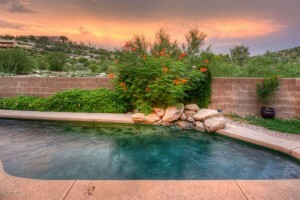 Click on the link ~ Sabino Mountain Homes for Sale to see the 5 homes that are listed for sale. There is 1 one-story home listed for 340K; 3 two-story homes listed for 375K, 415K and 439K and 1 custom home listed for sale for 849K. It is a very slow time of year. 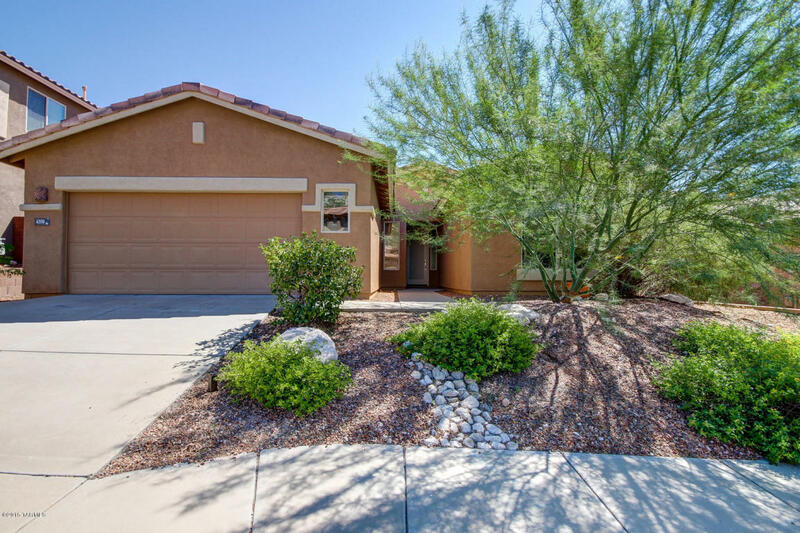 Of special note there have only been 9 home sales and 1 foreclosure in Sabino Mountain in 2015; last year and the year before 20 homes sold per year. It looks like we are definitely going to run behind this year. 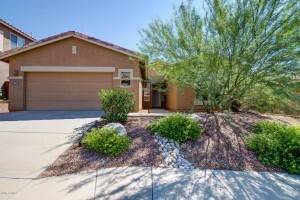 If you are thinking of selling your Sabino Mountain home, I am a phone call away at 520-615-2598. You are currently browsing the Sabino Mountain Blog blog archives for September, 2015.